We've built a new 'services and information' page for use by any organisation with specialist content. 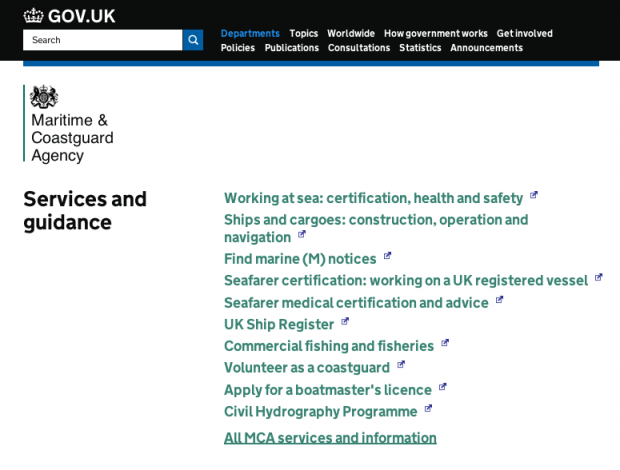 This blog post explains what that page is and the required steps to add it to an Organisation page on GOV.UK. The Maritime and Coastguard Agency is the first organisation to try it. If you visit the MCA homepage now, you'll see it has a new 'All MCA services and information' link. Clicking this link takes you to the new page we've built. Up until now it's not been clear what services and information a particular organisation has responsibility for. So we've created a 'directory' for them, which means you'll be able to get to anything published by an organisation within a few clicks of their homepage. These pages are created automatically from the specialist tags you already have, so there's no ongoing maintenance work for you. 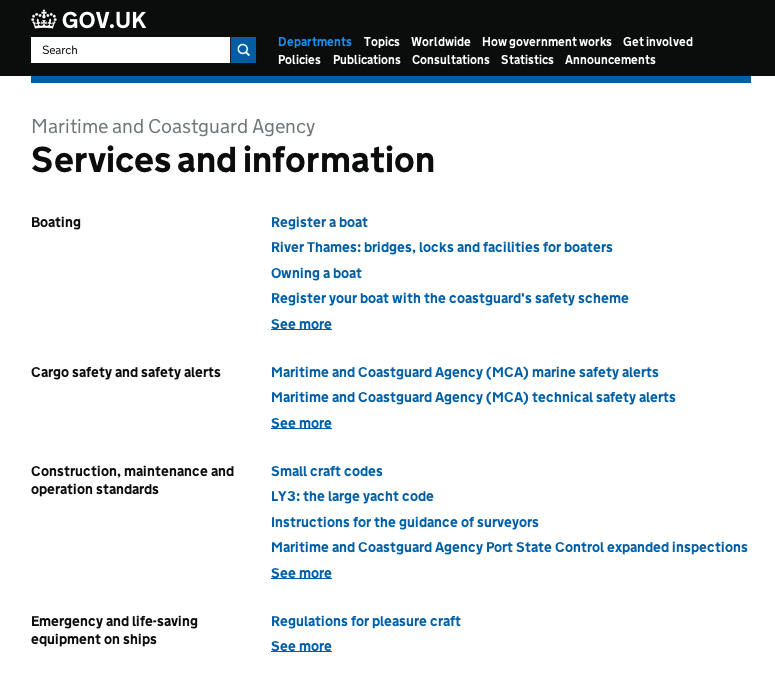 The headings on the left correspond to specialist sub-sectors and the links on the right are the 4 most popular items of content in each section. Beneath the top 4 content items is a link to the sub-sector browse page. If your organisation has specialist tags, we'll shortly email you with a link to your services and information page. Do the headings make sense? Are there any duplicates? Is all the content linked on the page owned by your organisation? Is there any content missing? We'll work through this with you. We'll also help you develop 'services and information' links for your homepage - that's the large links in the top middle of the page that you can see in the MCA screenshot above. Once all this is done we'll switch your page on. There's about 40 organisations using specialist tags right now, so please bear with us while we roll this page out. Like everything else on GOV.UK we'll be checking the stats and listening to feedback. If you've any comments please post below or get in touch.